You can file this update in the ‘definitely not going to change the world’ folder, but Bing users (yes, they do exist) will be pleased to hear that the full-screen videos that they love seeing adorn the homepage now come with the option of audio effects. 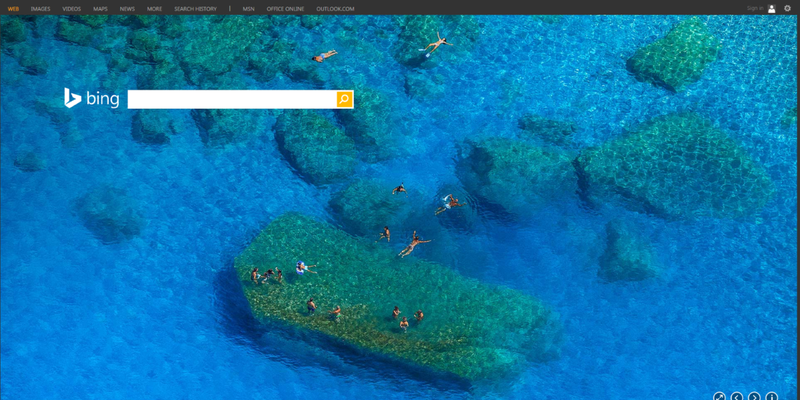 As of today, the Bing homepage video will sometimes (not always) offer the option to play a sound that accompanies whatever the image of the day is. The first sound-equipped looping image is of Sacramento National Wildlife Refuge in California, and if you click the little graphic equalizer icon in the bottom-right of the page, you can toggle sounds on-and-off to hear geese calls captured by Cornell Lab of Ornithology. From a quick scroll through (using the arrows next to the audio control), there aren’t any other audio-enabled desktop videos just yet, but we’d assume a whole bunch more will be added in the coming days. Waterfalls and waves will no doubt prove popular, along with specific animal calls, as these are the most requested sounds, according to Microsoft. Now do you want to use Bing?